If you’ve ever wondered how the actual crowd size compares to what teams announce, this story gives you a picture of how it is in college football at Minnesota and other schools, using data from last season. The Star Tribune’s Rachel Blount gave an important look at the challenges facing the Gophers athletic department recently with her detailed story on budget woes in revenue sports. Among the biggest revelations: revenue from Gophers football ticket sales declined by 28.8 percent between 2014 and 2017. 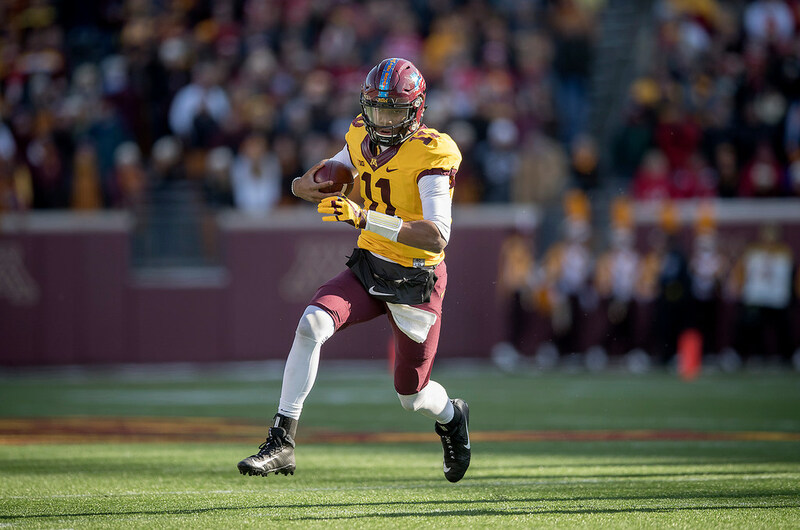 Attendance woes caused by multiple factors are at the heart of the revenue decline, and the Gophers are hardly alone in the struggle. On the heels of that good work — just in time for the college football season, which the Gophers were set to kick off Thursday with a home game against New Mexico State — comes another important story. This one is from the Wall Street Journal’s Rachel Bachman and illustrates an attendance discrepancy for the Gophers and their college football brethren. In it, the WSJ compiled a large data set from 96 college football programs in 2017 and compared their announced attendances to actual figures shown by ticket scanners. (Link here, but subscription required). If you weren’t aware, it is common practice for teams in both college and pro sports to use tickets sold (or distributed) as their attendance measure instead of actual butts in seats — a large part of the reason you see “announced attendance” as part of the Star Tribune’s boilerplate language in game stories when describing crowd size. And if you’ve ever wondered how the actual crowd size compares to what teams announce, Bachman’s story gives you a pretty clear picture of how it is in college football. The opening paragraph of the story focuses on the Gophers’ rout of Nebraska at TCF Bank Stadium in 2017, when Minnesota announced a crowd of 39,933. Data requested and obtained by the Journal shows only 25,493 tickets were actually counted. (Photo above of Demry Croft rushing for a first down during the Gophers’ 54-21 victory). For the season, the Gophers announced 310,506 fans for their seven home games, an average of a little more than 44,000 per game. Their tickets counted were 210,900 — about 14,000 less per game and an average of about 30,000. About one of every three tickets distributed were not counted as coming through the gates. There could be some human or technological errors involved in compiling the tickets counted figure — as some schools suggested — but that’s still a significant gap. It’s important here to note that this is not unique to the Gophers; they were just one example used to illustrate the issue. Of the 11 Big Ten schools for which there was data, four — Indiana, Rutgers, Illinois and Maryland — had a larger gap than Minnesota, by percentage, between announced crowd and actual tickets counted. Wisconsin had the smallest gap, with its actual attendance coming in at almost 85 percent of its announced attendance. It also should be noted that some context is missing. It would be helpful to know, for instance, if the gap between announced crowds and actual crowds has increased from previous years — which would potentially indicate more no-shows and perhaps more problems ahead. But the data is for just the 2017 season. Still, it’s good data and it very well could be reflective of the challenges programs face to get actual fans in the stands while competing with readily available games on TV and other factors.